A collection of classic dress watches with the the signature Zenith twist, the Elite collection proves that less is most definitely more. One of the thinnest automatic watches available, the Zenith Elite Ultra Thin is as discreet as it is captivating. Designed to distil a time of freedom, Zenith Pilot watches are a tribute to the pioneers of aviation, and draw inspiration from the onboard instruments that Zenith used to make in the early days of aeronautics. Following a century of re-invention, the precision and reliability of Zenith's mechanisms have risen to even greater heights, giving rise to an iconic collection that dreams of crossing oceans and roaming over the clouds. An icon of power and refinement, the Chronomaster collection is powered by the legendary Zenith El Primero. Featuring a generous case, an emblematic display design and the signature star-tipped sweeping seconds hand, the Zenith Chronomaster has a fiery-spirit which makes it immediately recognisable. A symbol of precision, this Zenith El Primero Heritage automatic chronograph men's watch showcases the most intricate craftsmanship from such an iconic brand. For example get this Zenith Pilot Extra Special Automatic Watch from £91.87 per month. Creating some of the world’s best Swiss watches, Zenith has been consistently driven by daring, authenticity and passion since 1865. 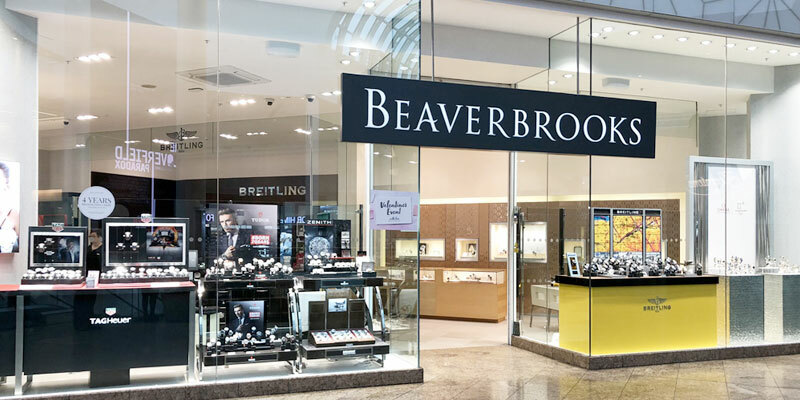 Constantly re-inventing the subtle blend between tradition and the avant-garde, they have been built by generations of handed-down watchmaking know-how and belong to one of the very few Swiss luxury watch brands who produce their own movements entirely in-house. Still located in the same Manufacture where they made history over 150 years ago, Zenith’s watchmaking heritage is defined by constant innovation. 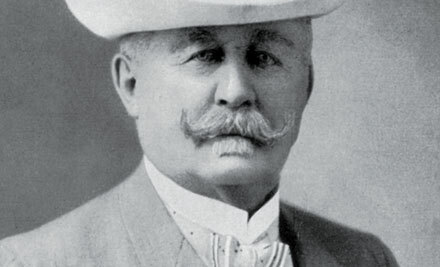 Georges Favre-Jacot, the founder of Zenith, revolutionised Swiss watchmaking by creating the Manufacture - uniting all the watchmaking professions under one roof. Zenith’s first pocket chronograph was launched. Zenith begins to create onboard instruments for aviation. 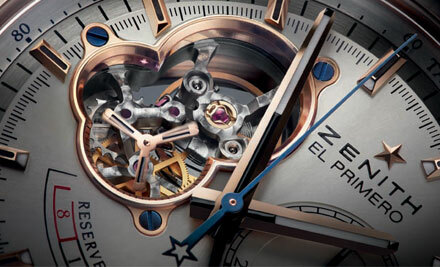 The Manufacture officially adopts the name ‘Zenith’. Meaning the highest point reached by a heavenly body in the sky, the name symbolised the heights of excellence the brand has always strived for. The Zenith logo also became their famous guiding star. 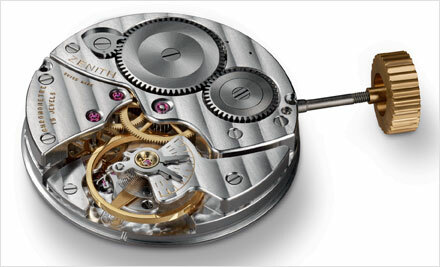 The legendary Zenith Calibre 135 chronometer movement was launched and went on to earn no less than 235 prizes. Used to power marine chronometers, pocket watches and table clocks, the Zenith Caliber 5011K achieved record-breaking precision. 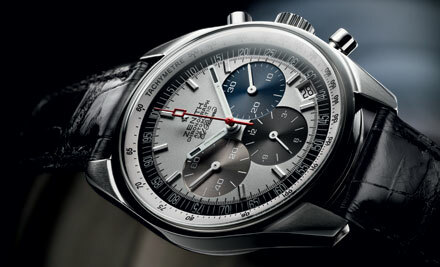 Zenith made history when they created El Primero, the first ever integrated chronograph movement. Today, the El Primero is still the world’s most precise series-made calibre, and the only one capable of measuring short times to the nearest tenth of a second. 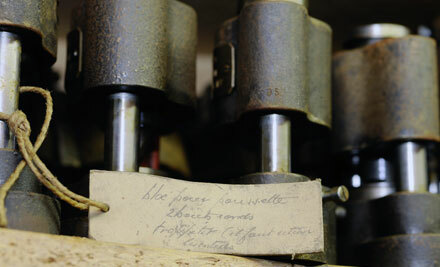 In the midsts of the quartz revolution, watchmaker Charles Vermot hid the plans, parts and tools required to make Zenith’s legendary mechanical calibers. 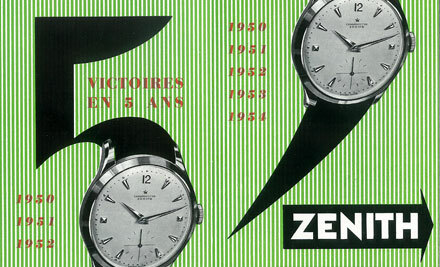 At this time, Zenith limited their production to quartz watches only. 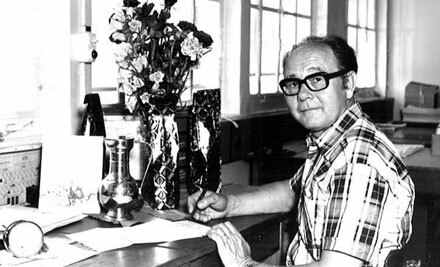 Thanks to Charles Vermot’s foresight, production of the El Primero calibre could begin once more thanks to the production tools he had kept safely hidden. 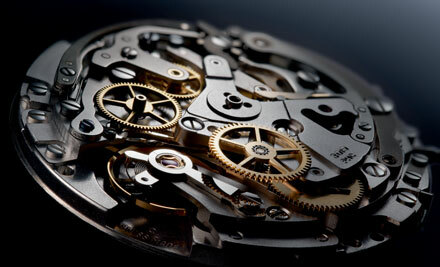 Other Swiss luxury watch brands were also keen to equip their timepieces with this legendary movement. 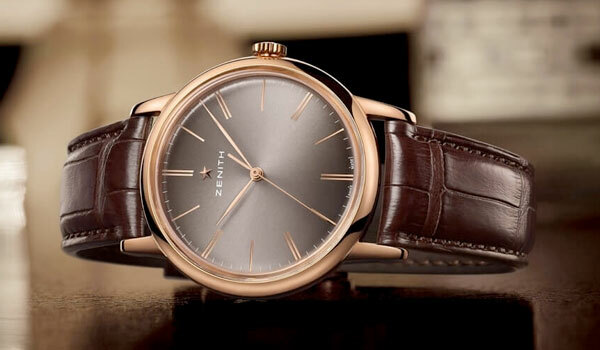 The Zenith Elite Ultra Thin was launched, and was the first Zenith caliber to be developed using Computer Assisted Design technology. The Zenith Elite movement was voted movement of the year due to its reliability and extreme slenderness. 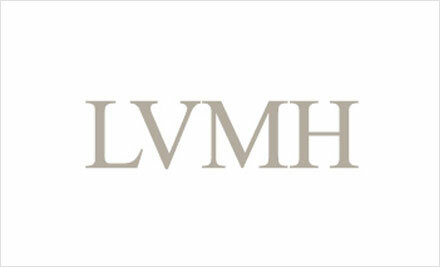 Zenith became part of the Moet Hennessy Louis Vuitton (LVMH) luxury group. The magic of the mechanical watch is brought to life as Zenith invents the Open concept dial, revealing the beating heart of the Zenith El Primero. The El Primero movement celebrates its 40th anniversary. The El Primero striking 10th is created with a sweeping seconds hand that displays tenths of a second. 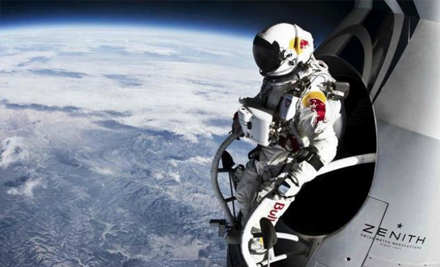 Zenith makes history with Felix Baumgartner - the first man to break the sound barrier in free-fall. 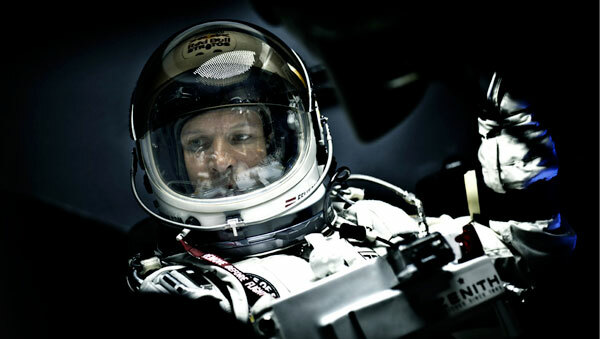 As Baumgartner jumps from the edge of the stratosphere, he wears a Zenith Stratos Flyback Striking 10th, equipped with the legendary El Primero movement. Celebrating 150 years of watchmaking expertise, Zenith celebrates this important milestone with a limited edition release of the Zenith El Primero Chronomaster 1969. Representing a quantum leap in both performance and mechanical design, Zenith leads the way with the release of the Defy El Primero 21 with ground-breaking accuracy to 1/100th of a second, as well as the Defy Lab, whose ultra-precision is unaffected by gravity, magnetic fields or temperature. Wearing his Zenith El Primero Stratos Flyback Striking 10th, in October 2012, Felix Baumgartner jumped from the very doors of space to become the first man to break the sound barrier in free-fall. Despite being subjected to temperatures of -62℃, record speeds of 1,342 km per hour and massive differences in pressure, temperature, altitude and acceleration, his Zenith El Primero Stratos continued to work perfectly when it arrived back on Earth. 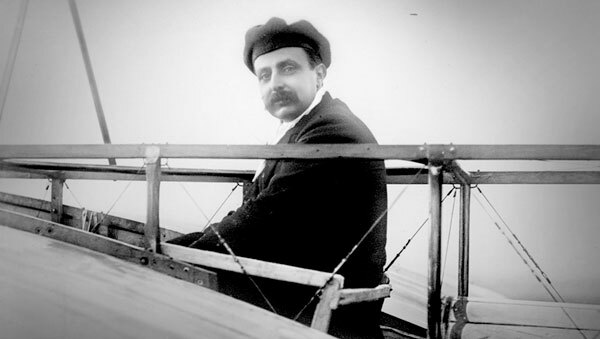 On July 25th, 1909 Louis Blériot became the undisputed father of aviation by making the first crossing of the English Channel by air. During the 37 minute flight in his fragile Blériot XI, he wore his Zenith aviators wristwatch and was ‘extremely satisfied’ with its precision. 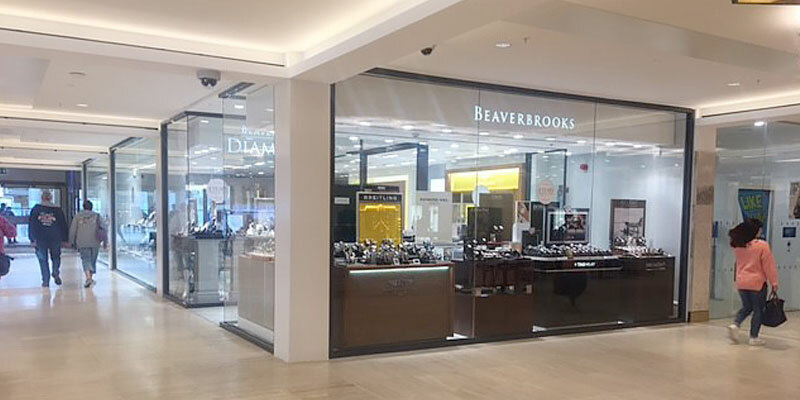 Whilst Zenith watches have often accompanied those brave enough to follow their dreams, perhaps the most momentous and epic adventure was Mahatma Gandhi’s non-violent struggle for India’s independence. 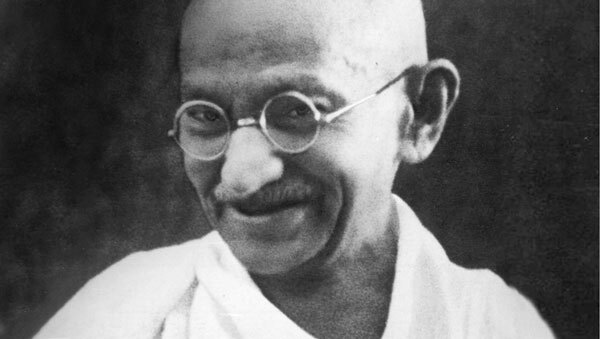 A gift from India’s Prime Minister, the silver Zenith pocket-watch became one of Gandhi’s few material possessions, accompanying all his daily activities and notably signalling his prayer time with its alarm function. A year which heralded many achievements - 1969 also marked a revolution in watchmaking terms: the birth of the El Primero caliber, the world’s first automatic chronograph. Beating at 36,000 vibration per hour, the El Primero’s technical specifications were so complex that it took several years to develop. Whilst Zenith’s legend is still being written, today the El Primero remains the world’s most precise series-made movement and the only one capable of measuring short times to 1/10th of a second. 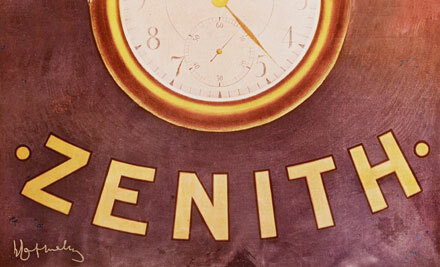 Since its creation 150 years ago, Zenith has constantly played a pioneering role in developing and producing precise, reliable and complex timepieces. By integrating the entire range of watchmaking professions in-house, Zenith has all the expertise and independence required to create unusual mechanisms that constantly push the boundaries of watchmaking. 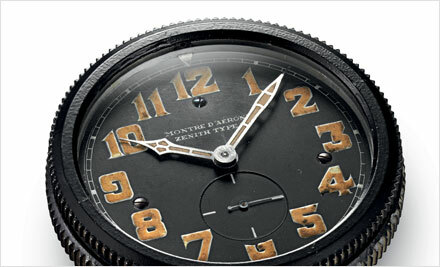 Zenith watches embody true Swiss watchmaking heritage. 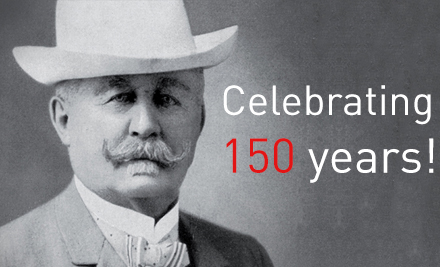 Tracing their history back over 150 years, they make keeping track of time both a science and an art form. A piece of history. 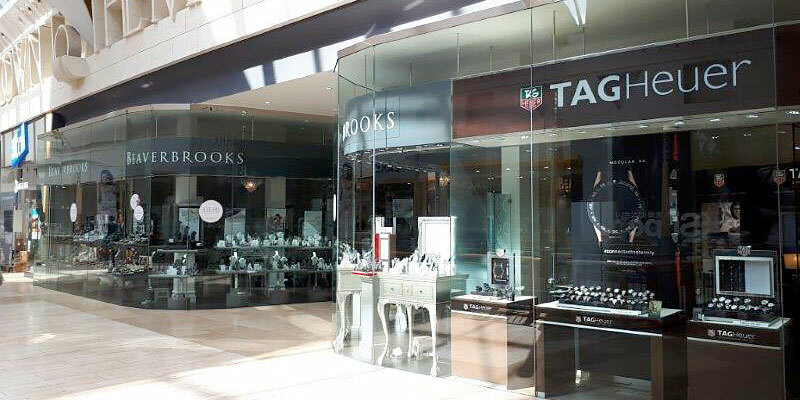 Beautifully designed and crafted, a Zenith watch is made to last a lifetime and beyond. It’s definitely one to pass down to the next generation. No quartz here. 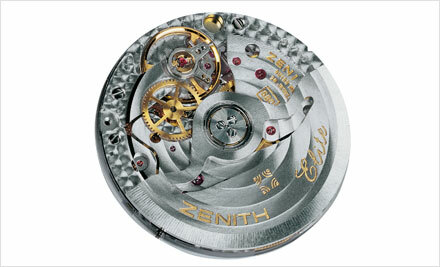 Zenith well and truly keep the romance of watchmaking alive by equipping all of their watches with automatic movements. 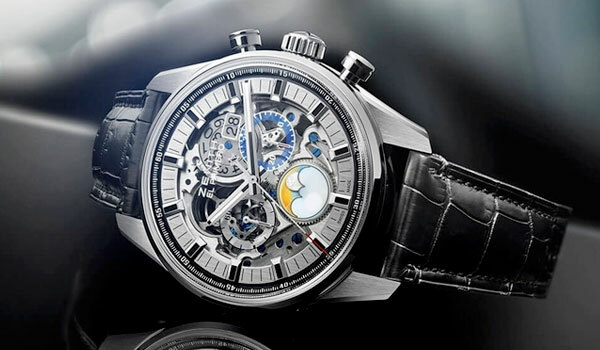 If you like the intricacies of a mechanical timepiece, then a Zenith watch could be the best Swiss watch for you. Zenith pride themselves on continuous technical innovation and are the most titled brand in the field of precision with over 2,333 chronometry prizes and 8 medals. 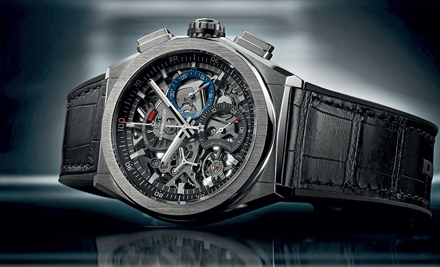 Just look at the Zenith El Primero Defy collection if you need proof of their pioneering spirit. 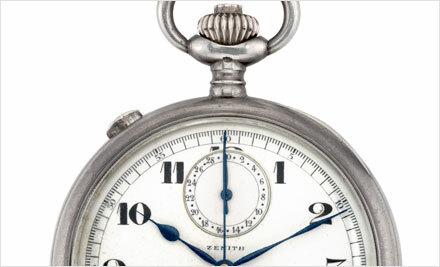 A Zenith watch is a great choice if you like vintage or retro style. The Zenith Chronomaster takes its inspiration from early ’70’s models, whilst the Pilot Collection recalls the instruments that Zenith made in the early days of aviation. 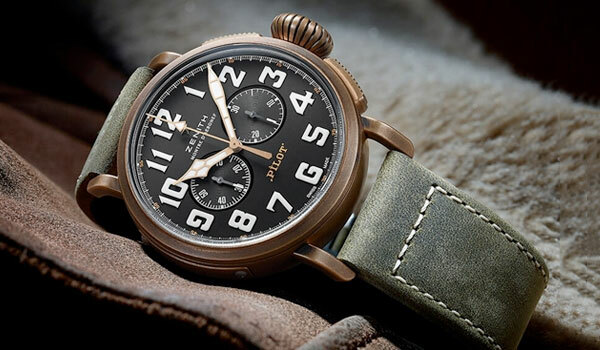 We love this bronze Zenith Pilot Extra Special. Learn how to keep your Zenith watch in great condition with our Watch Care Guide. 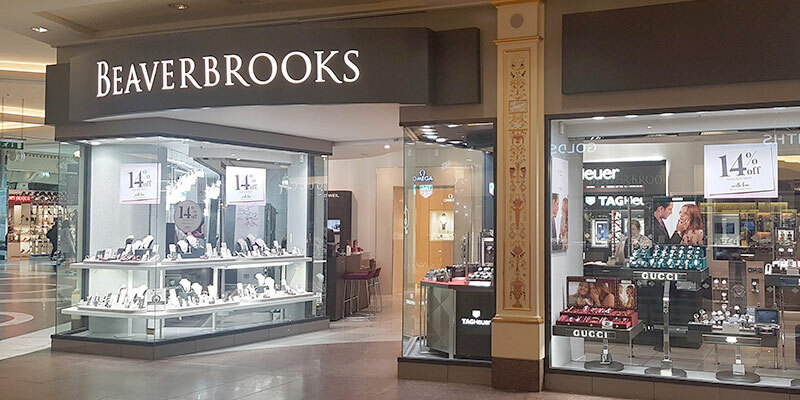 Discover one of the best selections of Zenith watches in the UK. 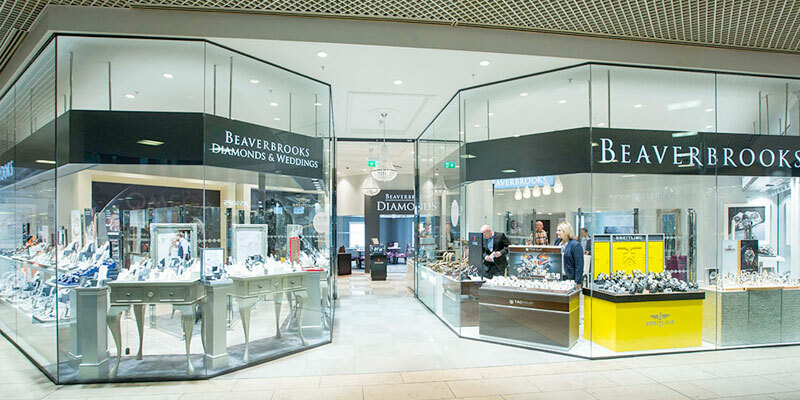 You can also book an appointment at one of our Zenith stockists and our expert advisors will guide you through the collections.